Anyone remember when original cable programming equaled low-rent junk? More evidence that this situation no longer exists comes from 2014’s True Detective, a short-run series packed with top-notch talent. The Blu-ray set spreads all of the series’ eight episodes across three discs. The plot synopses come straight from the Blu-ray menus. Despite all the time I work on this site, I still see lots and lots of movies in theaters. This means I usually view them before I know too much about them, so I don’t enter those screenings with many preconceived notions about films. On the other hand, I never watch TV shows that don’t come to me on home video. Because of all the reviewing I do, I ditched cable years ago, so I don’t check out various series until they arrive on my door. This means that when I watch those series, I often know quite a lot about them – at least in terms of critical/popular reception. Because of that, I sometimes view the programs with high expectations, as I know about plaudits and awards in advance. It’s not unusual for me to feel some disappointment, as I anticipate such greatness that the reality can’t live up to expectations. At least through one episode, Detective lives up to the hype. This turns into the best debut show I’ve seen in a while, as “Dark” manages to introduce the characters well and it also launches the series-long murder investigation in a satisfying manner. “Dark” flies by, as it gives us a strong opening to what looks like it’ll be a fascinating thriller. Seeing Things: “Under pressure to land a suspect, Cohle and Hart follow a lead to a cathouse and an incinerated church.” While it doesn’t sizzle as much as the opener, “Things” still moves along plot and characters well. We learn a bit more about the leads and the case in this solid show. The Locked Room: “Cohle and Hart visit a tent revival in search of leads; Hart gets sidetracked at a C&W bar.” As the series progresses, the shows focus more on the characters. That might be a bad thing, as I prefer a greater emphasis on story, but True Detective develops its roles in such a satisfying way that I enjoy the character concentration more than might otherwise be the case. Add to that just enough plot material to please and “Room” continues the series’ solid progression. Who Goes There: “Hart and Cohle follow a series of dangerous leads in an effort to locate prime suspect Reggie Ledoux." Although it provides the most intense action to date, “There” does less to move along the plot than usual. This makes it feel a bit like a “placeholder”: it delivers decent story material but doesn’t advance matters as much as I’d like. The Secret Fate of All Life: “Hart and Cohle share the spoils of a solved case; Papania (Tory Kittles) and Gilbrough (Michael Potts) confront the detectives with troubling new intelligence.” Given that we learn this information early on, it comes as no spoiler to indicate that the man Cohle and Hart found in 1995 wasn’t the real murderer. That said, I admit I feel surprised that the 1995 events wrap up in this show, barely halfway through the series’ run. I like this choice, though, as it makes the rest of the episodes less predictable. I enjoyed the path to the 1995 finale but was a bit concerned that those elements would eventually run out of steam. Given that nearly half the series follows the events after 1995, we get a lot of material past the original investigation. The combination of components makes “Fate” one of the series’ best shows. The wrap-up in 1995 offers excitement, and the rest of the episode delivers mystery and intrigue. “Fate” pushes along Detective in a stimulating and satisfying manner. Haunted Houses: “Maggie (Michelle Monaghan) sheds light on Cohle’s activities in 2002, when his relationship with Hart fractured and Cohle quit the force.” While it ventures toward the criminal side of things, “Houses” tends to concentrate on personal areas, and it does so well. After the high drama of the prior episode, it’s good to look at the characters’ lives a bit better, especially since we know those domains will connect with the investigation eventually. While “Houses” may lack the intrigue of its immediate predecessor, it’s still a solid continuation of the narrative. After You’ve Gone: “Hart and Cohle forge a truce to probe a murky string of disappearances that tie to the symbology of the Dora Lange murder and the Tuttle family.” To some degree, “Gone” acts as a placeholder; it serves to build the plot toward the climactic final episode. “Gone” gives us enough to intrigue us in the finale without spoiling anything, and it creates good drama along the way. Form and Void: “An overlooked detail provides Hart and Cohle with an important new lead in their 17-year-old case.” Detective concludes in a reasonably dynamic manner, though I don’t know if I can call this an entirely satisfying finale. The action climax feels a bit like it’s been cribbed from other serial killer tales, and we never get a great grasp of the big picture. That said, it still turns into a mostly positive finish to a mostly strong series. 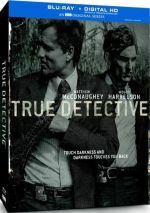 True Detective mixes character arcs and crime drama in a compelling manner across its eight episodes. Abetted by a nice array of talent – with an excellent lead performance from McConaughey - Detective becomes a winner. True Detective appears in an aspect ratio of approximately 1.78:1 on this Blu-ray Disc. Though not stellar, the image was more than satisfactory. Sharpness was usually good, as the shows mostly appeared well-defined and concise. Some wide shots came across as a little soft, but those remained infrequent. No problems with jagged edges or shimmering occurred, and edge enhancement remained absent. In terms of print issues, no concerns materialized. Like most modern thrillers, Detective went with a stylized palette. Much of the flick stayed with a pretty desaturated set of tones that focused on a bluish tint, though some yellows and greens appeared as welll. Within those constraints, the hues were appropriate and well-rendered. Blacks seemed dark and tight, while shadows showed good clarity much of the time; we got a couple of slightly murky interiors but nothing serious. All of this made the image a solid “B”. I also felt pleased with the DTS-HD MA 5.1 soundtrack of True Detective. The soundfield mostly came to life during a few action sequences, as those provided fairly good material from the side and rear speakers. Scenes in clubs and bars also added life. Otherwise this was a mix heavy on atmosphere. Those elements created a nice sense of place and added impact to the material. In terms of extras, we find audio commentaries for two episodes. Alongside “Who Goes There”, we hear from series creator/executive producer/writer Nic Pizzolatto and composer T Bone Burnett, while “The Secret Fate of All Life” gives us Pizzolatto, Burnett and executive producer Scott Stephens. In these, we learn about story/character areas, music, cast and performances, sets and locations, and other production logistics. Though not without insights, the commentaries disappoint. Lots of dead air occurs, and even when the participants speak, they often tend toward praise for the show and others involved. The discussions lack a lot of value. Deleted Scenes accompany two shows. We get clips for “The Locked Room” (6:17) and “Form and Void” (3:40). “Room” offers an extended preaching scene and doesn’t seem interesting. “Void” simply gives us a long series of helicopter shots across the show’s domains; it also fails to become particularly compelling. Honestly, these are about the least useful deleted scenes I’ve ever viewed. All eight shows provide Inside the Episode featurettes. These run a total of 36 minutes, one second. Across these, we find notes from Pizzolatto and executive producer/director Cary Fukunaga. These mostly examine plot/character domains, though they also touch on topics like sets, locations and related areas. A few insights occur, but these often feel more like episode recaps than anything else. On Disc Three, we find Making True Detective. 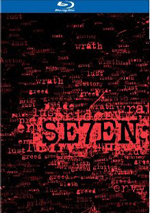 It goes for 15 minutes, two seconds and includes notes from Pizzolatto, Fukunaga, Stephens, art directors Mara LePere-Schloop and Tim Beach, production designer Alex DiGerlando, property master Lynda Reiss, artist Joshua Walsh, and actors Matthew McConaughey, Woody Harrelson, Michelle Monaghan, Tory Kittles, Michael Potts and Elizabeth Reaser. The program covers story/character areas, cast and performances, locations and production design, props, cinematography, and episode specifics. Though it comes with a little hype/praise, “Making” usually offers a meaty affair. Despite its length, it delivers a good mix of details. Up Close runs eight minutes, three seconds and provides comments from McConaughey and Harrelson. They chat about their roles/performances and aspects of the shoot. They share a nice chemistry but don’t tell us a ton about the series. Finally, we locate the 14-minute, 25-second A Conversation with Nic Pizzolatto and T Bone Burnett. They discuss music, characters, themes, and related subjects. Some of this repeats from the commentaries, but the material comes in a tighter package here. Given the nature of its storyline, True Detective won’t be for everyone. Those who enjoy grim crime drama will take to it, however, as it delivers a consistently deep, involving tale. The Blu-ray brings us generally positive picture and audio as well as a mix of decent bonus materials. True Detective gives us a solid thriller. True Detective offers a solid eight-episode take on the serial killer genre.